HDTV Supplys Mini WolfPack™ 4K/60 WolfPack 16x30 HDMI Matrix Switcher w/iPad & Android Control is a pre-configured integrated HDMI video and HDMI audio modular HDMI matrix router. The 36x36 chassis's back plane allows HDMI technologies to be converted and switched eliminating external converters and it allows any input to be routed to any output, or the same input to be routed to all outputs. The core of the 4K/60 WolfPack 16x30 HDMI Matrix Switcher w/iPad & Android Control consist of an 36x36 Modular Matrix chassis and its highly configurable WolfPack backplane that supports 36 input cards and 36 output cards. 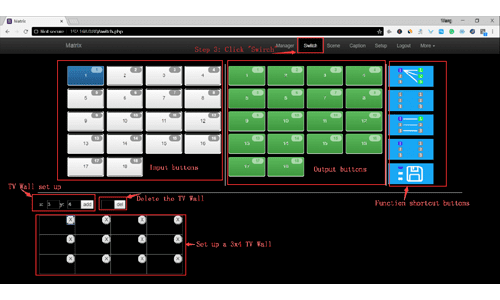 You can control the 16x30 HDMI Matrix Switcher w/iPad & Android Control via front Touch Screen, WEB GUI control, the RS-232 serial port & the supplied iOS/Android App. The matrix does not have IR nor a remote control. The 4K/60 WolfPack 16x30 HDMI Matrix Switcher w/iPad & Android Control manages HDMI input signals for the inputs and female HDMI outputs for HDMI cabling. This 4K/60 WolfPack 16x30 HDMI Matrix Switcher w/iPad & Android Control support long haul transmission, maintains power reliability in the event of failure and offer the best flexible solutions for an AV system deployment. 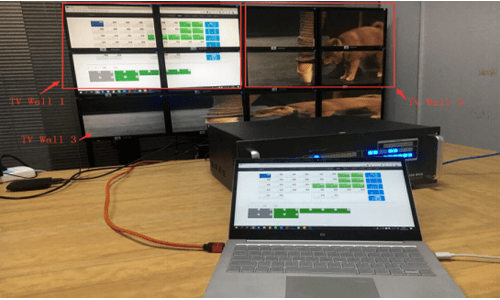 Our 4K/60 WolfPack 16x30 HDMI Matrix Switcher w/iPad & Android Control also can support high-resolution HDMI sources routed to HDMI displays, monitors, projectors, or audio receivers, etc. 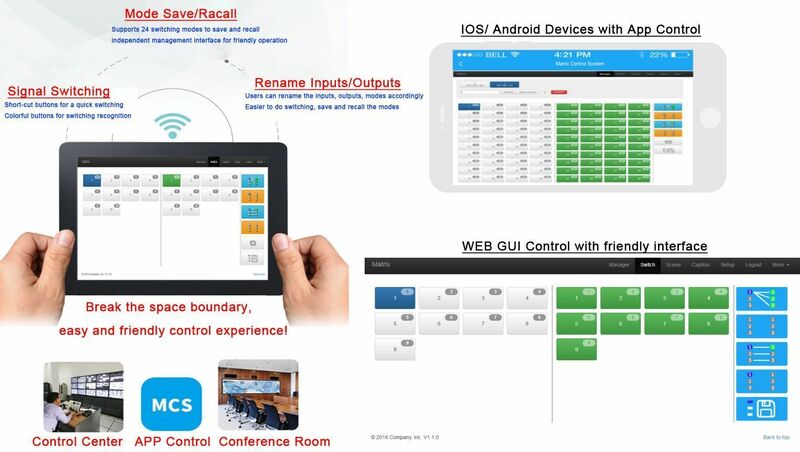 The EDID can be selected between seven different modes or copied from the attached displays. The WolfPack™ Modular HDMI Matrix Switcher allows switching between inputs with a clean video cut (frame-to-frame switching with no glitches). 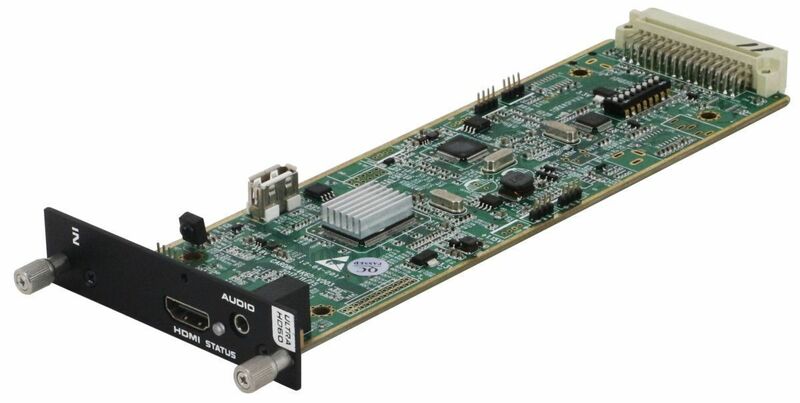 The WolfPack™ Modular HDMI Matrix Switcher advanced processor allows it to process live signals simultaneously which means it can seamlessly and instantly switch (~100ms) between HDMI inputs and outputs. 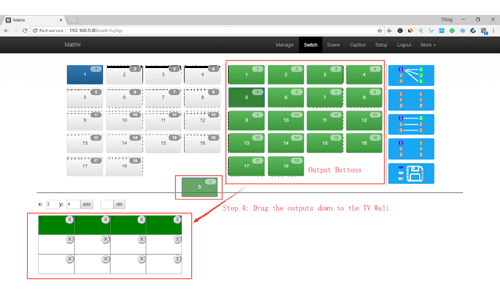 Most non-seamless matrix switchers require a delay of several seconds before they can switch between devices but with this WolfPack family that wait time is completely eliminated. 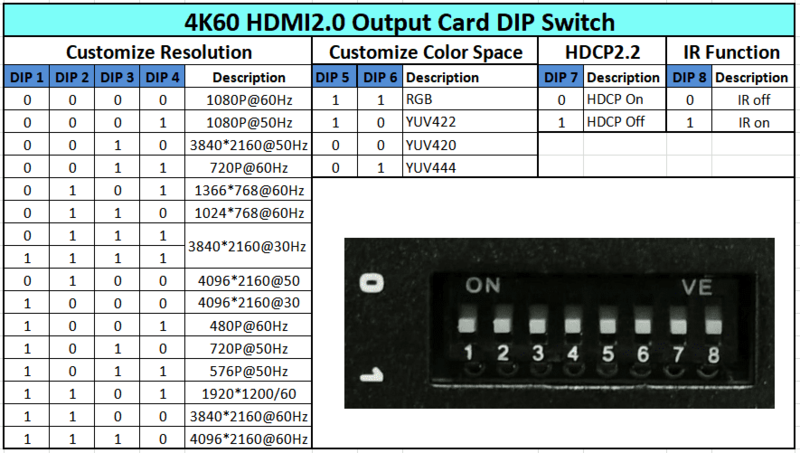 EDID Explained: The 4K/60 WolfPack 16x30 HDMI Matrix Switcher w/iPad & Android Control EDID provides for optimal source-to-screen performance. EDID will optimize the video card output for the capabilities of the end display. The EDID ghost unit enables the copying, emulating, cloning, and "learning" of EDID data from a display. Our EDID Emulator and repeater comes with pre-defined presets, user programmable banks, Sink EDID sniffing bank and more. 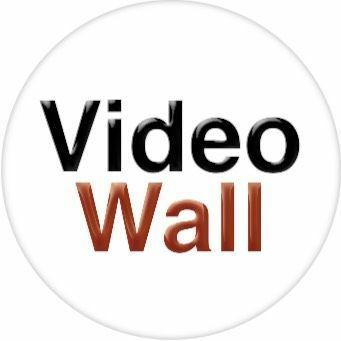 Our EDID Emulator ensures proper operation, for the best performing HDMI audio and video signal between any source and display Resolves loss of video, intermittent (flashing) video, snow, or color-space (purple or red) issues. Why not buy this WolfPack Lite 4K/60 16x30 HDMI Matrix Switcher w/iPad & Android Control today?